A criminal conviction can be life-altering. Not only can criminal convictions result in fines, license suspensions and revocations, and jail time but they can also affect your career, job prospects, the opportunity to further your education, and car insurance rates. In Massachusetts, you may be able to avoid some of the harsh realities that come with a criminal conviction if you are eligible for entry of a Continuation Without a Finding (CWOF). 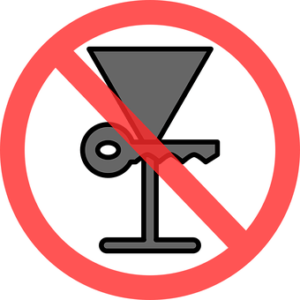 If you are accused of OUI it is important to speak with an experienced OUI attorney. As with any crime, an attorney can help you defend your rights, advise you of any legal defenses applicable to your case, and any options that may help with the outcome of your case including the option of an entry of a CWOF. What is a CWOF in Massachusetts? A CWOF applies to a situation where you admit that the Commonwealth has facts sufficient to find you guilty of a crime, however, the court agrees not to enter a guilty plea in exchange for an agreement that you will satisfy certain terms of probation. The case is “continued” until you meet the conditions of your probation. Once met, the case is dismissed. Who is Eligible for a CWOF? You may be eligible for a CWOF for a first offense DUI in addition to other first offense misdemeanor charges. A CWOF will be agreed upon prior to trial. For example, if it is in your best interest, your attorney can negotiate with the Commonwealth and recommend a plea deal which would include an entry of a CWOF. If the prosecution agrees to the plea deal, you may be able to avoid a guilty plea or verdict and a CWOF will be entered. As long as you meet the conditions of your probation the case will be dismissed against you. What if the Conditions of Probation are Not Met? If you fail to meet the conditions of your probation or are arrested during the probationary period, you may suffer a termination of the CWOF and enter a guilty finding and sentenced accordingly; terminate the CWOF without probation revocation; continue the CWOF but modify the conditions of probation; continue the CWOF without modification of probation; or terminate probation. Because there is wide latitude in how the court can handle this violation of probation, it is very important to have the support and advice of an attorney. Although not a entry of guilty, a CWOF will still have an impact on your life and possibly your future. It is crucial to discuss this, and all other legal options available to you, with an OUI attorney. Call OUI Attorneys to talk about your OUI charges and all of the options that may be available to you. The team understands how important it is to protect your driving privileges, your future, and your reputation.